Jose Mourinho believes Real Madrid will be “open” and “honest” if they try to succeed any deal for Manchester United goalkeeper David de Gea. Speculation over the Spaniard’s future has once again surfaced this week, with the 26-year-old saying that “nobody knows the future” when questioned about the Real Madrid rumours. Madrid president Florentino Perez subsequently claimed “someone was messing around” with de Gea and made it clear whatever the transfer discussions would be, that’s reserved for the summer. De Gea almost Joined Madrid in the 2015 summer as part of an exchange deal that included Keylor Navas, but the move fell through dramatically, sparking a cold war between the two club’s hierarchy. 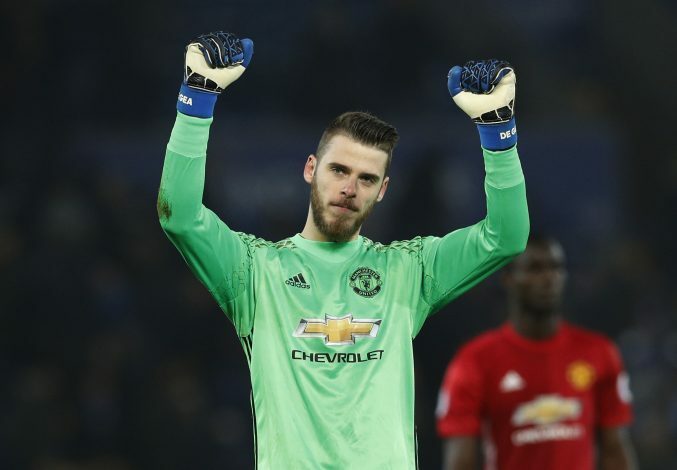 But Mourinho is confident that de Gea, who penned a new four-year contract weeks after that collapsed transfer, will not leave Old Trafford and also believes there will be no such underhand tactics if Madrid comes forward with another approach. “I am not going to speak about hypothetical things,” the former Madrid head coach was quoted by Sky Sports. “The only thing that is real is that he is my player. I am happy with him, I know that he is happy with me, and there is absolutely nothing else. “With Mr Perez and his right arm Jose Angel Sanchez, they are some of the people in football that I can say I did not work for them and then it is over. “I can say that we are friends forever, big friends. I like them a lot. Friends speak. Friends are open, friends are honest. “So if at the end of the season I want one of their players or they want one of our players we will not do it through the press that we are going to exchange messages.